Your vehicle’s total weight will impact how much you can tow. If you're planning on hauling a trailer with your vehicle, you may be wondering, "How much weight can my car tow?" 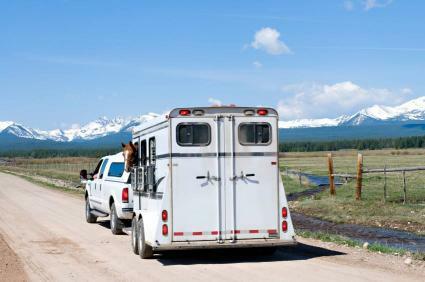 Before you hook up your trailer and head out on the road, it's important to know your vehicle's towing capacity. Your vehicle's towing capacity is the maximum amount of weight it can pull without damaging your car or impairing your ability to handle it. Towing too much weight can make it harder to stop your car or avoid road obstacles. It can also damage your wheel bearings, brakes, transmission, engine, and axle. In general, the manufacturer establishes the towing capacity of a vehicle, and towing too much weight may actually void your vehicle's warranty. Luckily, there are good sources for information about your vehicle's towing capacity. Since knowing your towing capacity is so important, you'll want to be positive that the information is correct. Unless you are completely confident in the source of your information, you may want to double-check your towing capacity before you hitch up your trailer. Most new car manufacturers include towing capacity in the owner's manual, and this is probably your best source for this information. If you own a used car that came without a manual or if you have misplaced your owner's manual, you can look up a manual online or contact the vehicle manufacturer for more information. Owner's manuals typically include detailed information, such as towing capacity charts or specific figures for maximum load. You may also learn that your vehicle must be "broken in" before you begin towing. This means that you cannot tow with your vehicle until you've driven it a certain number of miles. If you can't find your manual or simply want to confirm towing capacity for your vehicle, another great resource is your vehicle's compliance certification label. You'll find this label someplace near the driver's door. It's usually on the door sill and is visible if you open the driver's door. The compliance certification label will provide information about the maximum safe weight of your vehicle. While there are several ways to define the maximum weight, you need to know your vehicle's gross combination weight rating. The gross combination weight rating includes the weight of your vehicle, all passengers, typical fluids like gasoline, cargo weight, and the total weight of your trailer. In order to avoid damaging your vehicle, you need to ensure that you do not exceed the allowable gross combination weight rating for your car. Some website post online charts of vehicle towing capacities. While these charts can be useful if you're buying a new vehicle, they are probably the least reliable source of information about your vehicle's overall towing capacity. Most experts do not recommend using online charts to find out how much your car can tow. Whether you plan to pull a boat, tow an RV, or haul a load of furniture to your new house, it's important to know how much your trailer weighs. 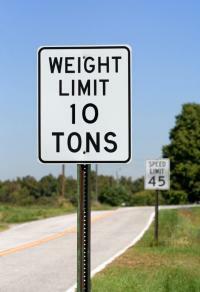 Knowing the total weight of your trailer will help you make sure you don't exceed your vehicle's towing limits. If you purchased your trailer, it should be fitted with a Vehicle Identification Number plate. This plate includes basic information about your trailer, including date of manufacture, recommended tire pressure, and gross vehicle weight rating or trailer weight. In order to compute the total weight of your trailer, you'll need to add the weight of the load to the weight of the trailer itself. Occasionally, trailers are homemade or don't have a Vehicle Identification Number plate. In this case, you'll need to find a nearby vehicle scale to measure the total weight. Driving a trailer requires practice. Your car will handle differently when it is pulling a load, so it's a good idea to get a feel for the car before heading out on the road. It's important to learn everything you can about how your vehicle tows. Now that you know the answer to the question, "How much weight can my car tow?" you're on your way to safely towing a trailer. For more information about car weight and other specifications, please check out the following articles.